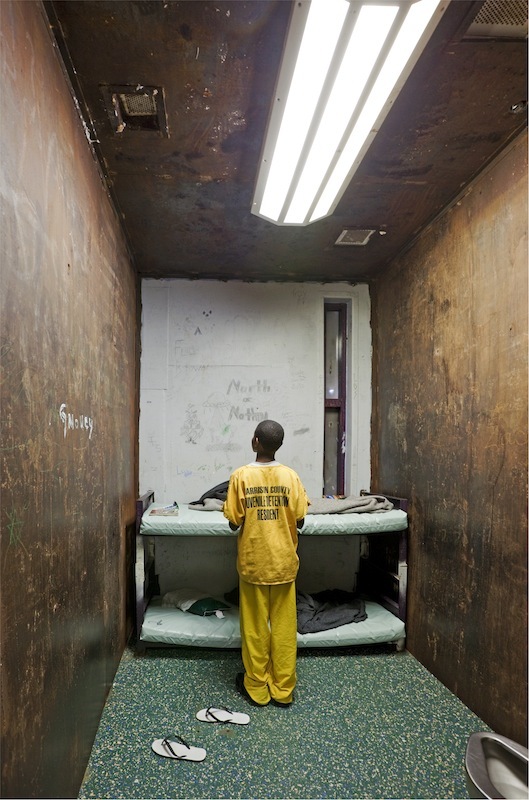 Winner of the 2012 Best News and Documentary Photography Award, Ross has spent eight years photographing the sealed-off worlds of America’s juvenile detention centres, where 70,000 children are currently held. Yet documenting is perhaps too light a word. For Richard Ross, the camera is a weapon, his photographs created with an implicit subtext that demands something more from the viewer. Our justice systems are built firmly, and uncontestably, upon a stringent power scheme. Ross turns this on its head, pointing us to back to its source and giving a voice to the imprisoned and the powerless. 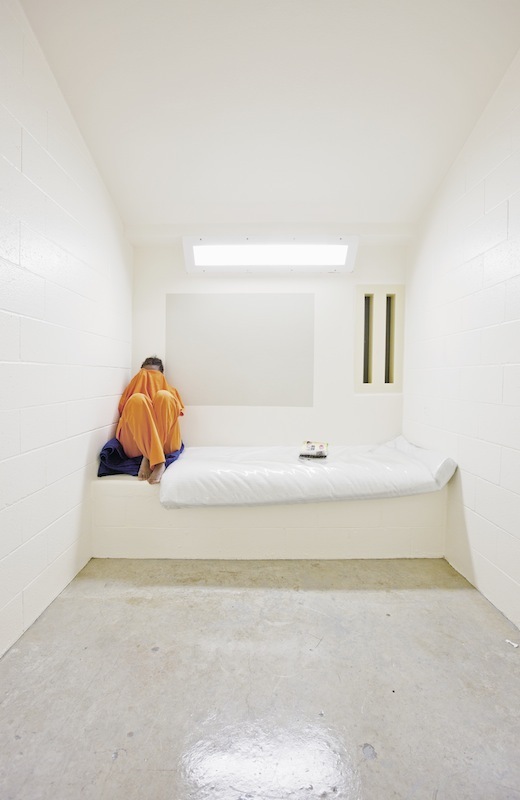 Can you tell us a bit about the process behind photographing the detained children and how you gain access to the facilities with a camera? It is a nightmare. Every step is a negotiation before I get there. Even when I get to an institution, they are usually unsure of why I am there. There’s a lot of paperwork, emails, calls…..and often a judge’s court order. Whatever it takes. I have to be relentless as I am the only choice some of these kids have. Once I get into the institution, I introduce myself to them, explain it is all voluntary and then knock on the door of their cells and ask permission to come in. I also take off my shoes, and sit on the floor, giving them visual and overt power over the situation. I am the only white, older male that is intentionally subordinate to them. Most of the people they deal with are wearing SWAT uniforms and barking orders at them. After an hour of interviewing and making a big show of getting up off the floor, I ask them to help me and then we conspire to make an image where their face isn’t showing. Often I give them my camera and ask them to photograph me first…and then we switch. It is a collaboration. You come from a Fine Arts academic background, and have since worked on a variety of photojournalist projects. How do you understand the distinction and relationship between the two genres and how has this shaped your current practice? I teach at University of California Santa Barbara and many of my colleagues deal with issues of line, shape, form and composition. I respect their work, but my medium has moved from film to digital superficially. In a deeper sense, my medium has become my conscience. I have always been a political animal and the images I have responded to define the human condition in some manner. It has gone from a lens of being curious to one of being angry—from being an observer and a reflector of situations to the desire to alter. Now when you see an image of mine within these institutions, the subtext is I want to burn them down rather than amuse the viewer with my skills. In a society inundated with images, one might say we are becoming immune to visual representations of social struggle and injustice. In what way do you feel art must contend with this? How can photographers move beyond evoking a passive awareness to actually changing the discussion and eliciting social change? It is a terrible problem. “Cause fatigue.” I can’t understand howTHE MARSHALL PROJECT can create a website based on mass incarceration, rolling out story after story each day and not go crazy. There are so many injustices in the world. I focus on giving away the license of my images to non-profits that are better skilled at collecting data and offering solutions. 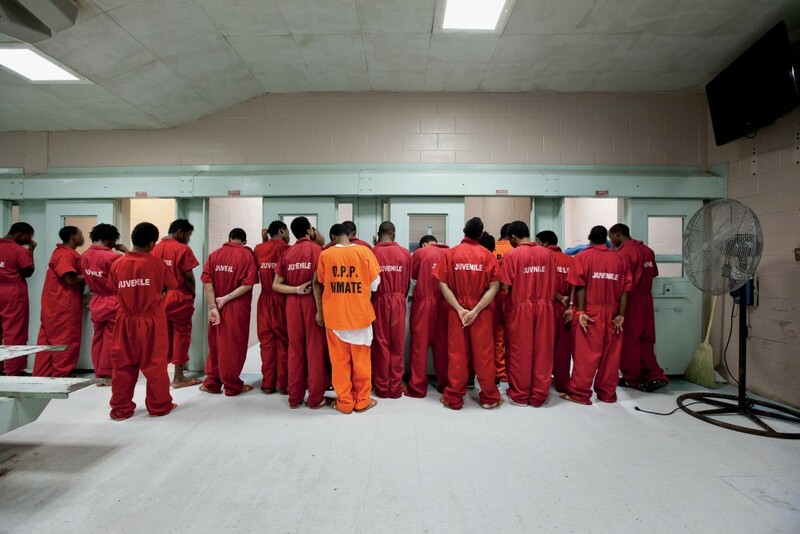 Rather than just wringing my hands, I try to suggest action – eliminate solitary confinement, bring farmers’ markets to the doors of detention centers on visiting days, change the food, the uniforms. I work within my county, with the Juvenile Justice commissioners, to change very specific policies, to adopt local policies as models rather than wait for state law to evolve. I also built a solitary confinement cell that travels to different cities, accompanied by the audio of kids describing what that environment feels like. I have learned not to depend on a single aspect of presentation but rather, to utilise multiple levels. Currently, I am working on a book and play with Peter Sellars, a well-known American operatic director, to create a curriculum for Middle and High School kids that encourages them to empathize with incarcerated children. It seems that your current work has developed in part from your earlier project, Architecture of Authority, which documents the austere spaces themselves and the power they exert. How does bringing individuals into these spaces change the discourse around such images? It reinforces the fact that they’re lives in the balance. Everything is at stake for these kids. They are not abstract data….they are real people. When you see the preponderance of black and brown children, you see how racist we still are as a society. It has to bring a stronger reaction. I hope. Can you tell us a little bit about the role of the online platform to the project and how this might interact with the gallery space in enhancing understanding and accessibility? Online is critical. I don’t dismiss the power of a singular iconic image to haunt. But the online stories I have of each kid, the constant pressure, gives awareness and makes demands. The audience is not the privilege of the gallery, it is broader. Much of the world gets its information only from their phone, so to neglect this audience is ineffective. It also provides the ability to reference the data and look at solutions. And…it’s fun to write, edit audio and post. Finally, how do you see this project developing from here? 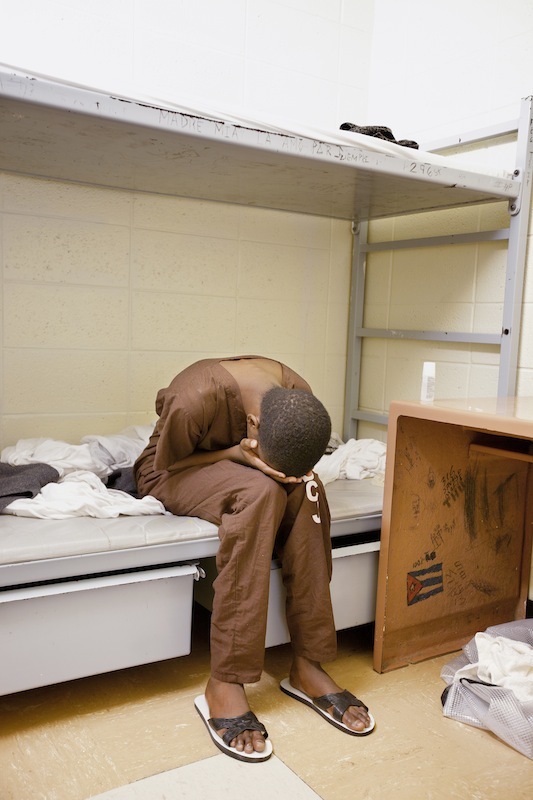 Right now, I am photographing older adult inmates who were sentenced as children. Joseph Ligon is 78 and has been held in prison since he was 15 for a murder he denies and a sentence that was arrived at after a one day trial. I am working with this population but it is all DOC, Department of Corrections, and access is even more difficult. And I am getting older, and it is punishing on so many levels…..this is a question I ask myself regularly. Next articleContemporary Art“Removed”... but where to?